Home / Prepare / Diary / Expo "Fleurs Et Grisaille, Ô Tour"
Flowers and grisaille, O Tour! 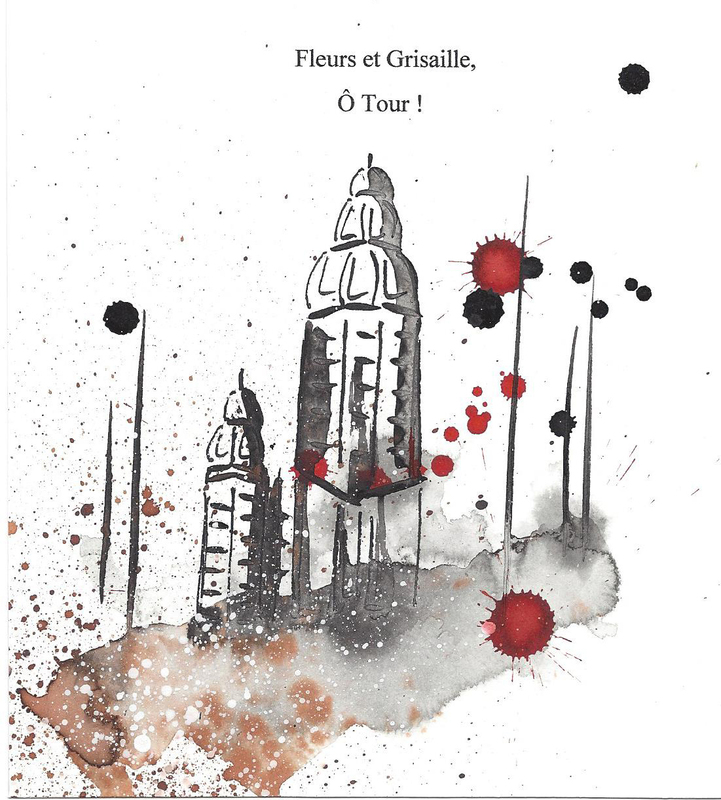 »To see this month This month at the Tourist Office of La Porte du Hainaut, come and discover the exhibition Flowers and grisaille, O Tour! Proposed by Muriel Verstichel and Bruno Collet. Through the original plates of their work published in 2013, discover their poetic vision of the abbey tower of Saint-Amand-les-Eaux. A successful collaboration associating their respective talents: poetry for Muriel Verstichel and drawing for Bruno Collet! Notice to the curious! The entrance is free ! A poetic vision of the Tower Flowers and grisaille, O Tour! This is the title of the exhibition visible throughout the month of April at the Tourist Office of La Porte du Hainaut, honoring an artist's book composed of a poem by Muriel Verstichel and of ink drawings by the artist Bruno Collet. Drawn at 30 copies, each unique, Editions Pull Star, this book pays tribute to the abbey tower of Saint-Amand-les-Eaux, the monk Hucbald and Saint Amand. As a poet, Muriel Verstichel likes to work with artists and from their works. And to specify: It is never an illustration neither plastic nor poetic, but an extension which enriches each work to give it to the public. To date, Muriel Verstichel has published more than twenty collections, including the last two editions Text and speech: Sculpture and Poetry, from the works of the sculptor Alain Verstichel; Feminae visus or La voyante, on women's portraits by the visual artist Cléa, with whom Muriel Verstichel worked on the animation of workshops in the Limon district, for many years with the association Paroles d'Hucbald. Alongside Muriel Verstichel, Bruno Collet, painter and engraver, undertook a work of inspiration based on the atmosphere of his poems. Fascinated by the abbey tower, its history, its architecture, what it represents to the eyes of the inhabitants of Alsace, it worked for six months from photographs of the abbey tower. A great adventure that led to the publication of a book, he says. If you succumb to the temptation to offer this book or one of the 13 boards, the whole is offered for sale at the Tourist Office! To discover the exhibition Fleurs et grisaille, O Tour! », Proposed by Muriel Verstichel and Bruno Collet at the Tourist Office of La Porte du Hainaut, see you until Tuesday, April 30, 2019, at 89 Grand'Place in Saint-Amand-les-Eaux, from 10am to 12pm and from 14:00 to 17:00 from Tuesday to Saturday. Closed Mondays and Sundays all day, as well as Thursday morning. The entrance is free.